"Promoting a Professional and High standard of Reiki Healing." The theme of the Reiki one training is to "Heal Thyself" whereas the initiate is taught to heal him or herself energetically on a physical, emotional, mental and spiritual level. To begin training as a reiki healer the first step is to heal yourself and to increase your own connection to the Divine within. One's motive is to be a master of one's Self, to take responsibility for one's life and one's actions, reiki healing is an aspect of this holistic self-growth and a step towards self-completion and self-mastery. Anyone interested in healing themselves, physically, emotionally, mentally or spiritually - Reiki healing stays with you permanently leaving you with a healing tool to take care and control of your life physically, emotionally, mentally or spiritually. Homemakers - Provide Reiki healing as a preventative measure against sickness for children and partners and friends. 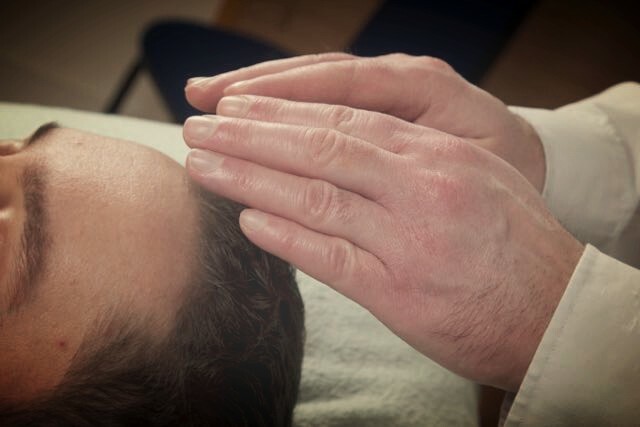 Complementary Health Practitioners - Those who would like to become professional Reiki healing Practitioners or combine Reiki healing with existing therapies e.g. massage, physiotherapy. Medical Practitioners - To enhance healing and intuitive abilities for Doctors, Nurses, caretakers etc. A reiki attunement, a spiritual initiation that will open the energy channels in your body to channel higher amounts of Universal Life force energy. You are taught the Reiki healing hand positions for self-healing and for healing others. You will receive practical training, healing energy exercises and various meditations. You will learn about the Chakra System and the Aura how it is integral to spiritual healing. You will learn Psychic Protection. You will learn how to Scan the Body and Aura for energy blockages. Learn about Angels and Spirit Guides. Learn how to heal with Angels and Spirit Guides. You are taught about how toxins effect the chakra system. You are taught how to Cleanse your Aura and your enviroment. You will actually partake in a Reiki Healing on the Sunday afternoon. In addition you will receive a reiki one manual and a reiki one certificate, *Please note a reiki 2 healer can only work with the public but after expeirience gained, a reiki 1 healer can work with friends and family. In addition Brian will be available for advice when needed. There is a reiki follow up once an evening every 3 weeks where the Reiki One healers meet to exchange reiki healing and share experiences. This is optional after the reiki one degree but is highly recommended. There is a donation of € 20 Euro for each of these evenings. It is recommended to wait at least 3 months after completing reiki one before going onto do reiki 2, as the energies need to be integrated into the physical body and also to get expeirience of working with the energies before doing Reiki Level 2.